I LOVE the flavor of cake batter. And using a boxed cake mix to make anything from cookies to cobbler isn’t just easy, it is delicious. 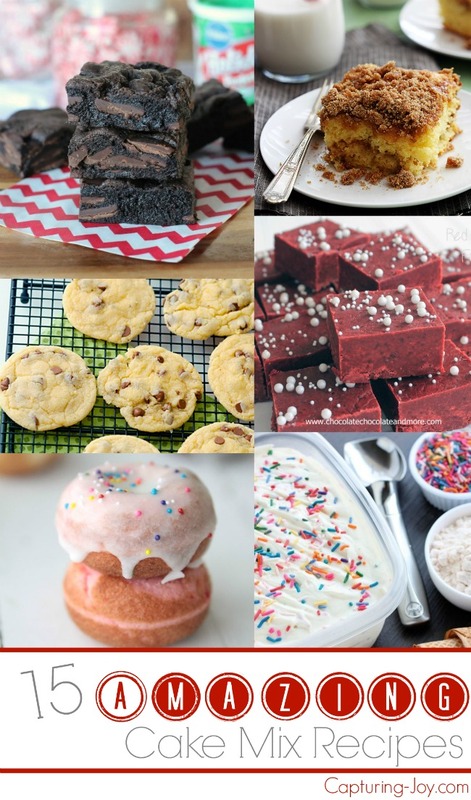 Here are 15 of the yummies cake mix recipes on the web. 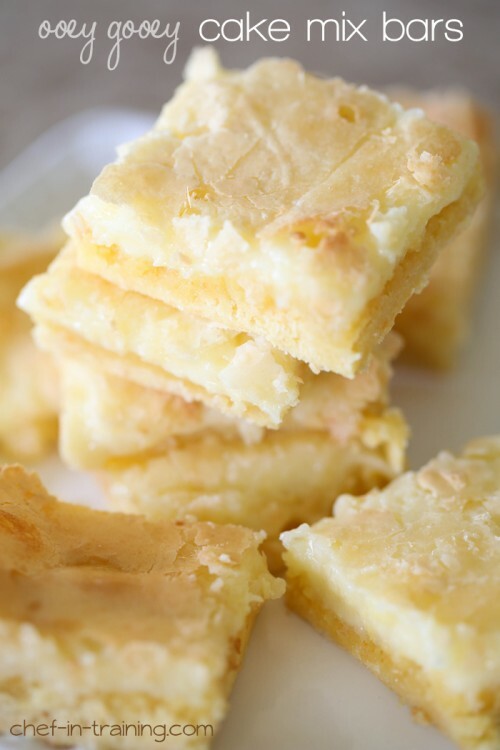 Click on the links below each image to be taken to each Cake Mix Recipe. 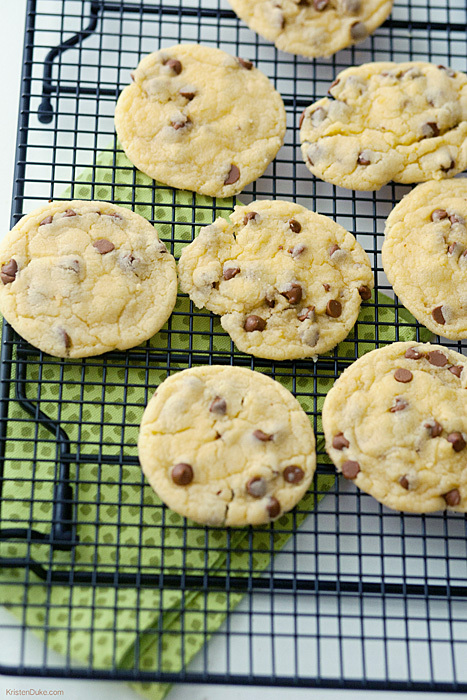 These Cinnamon Chip Cake Batter Cookies are a big hit at my house. 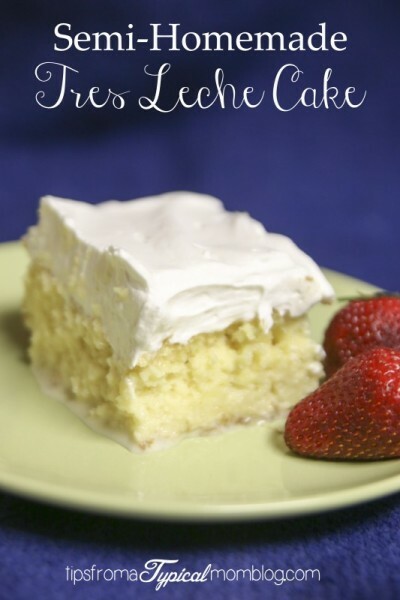 This Tres Leche Cake Mix Recipe from Tips from a Typical Mom looks like a must try. 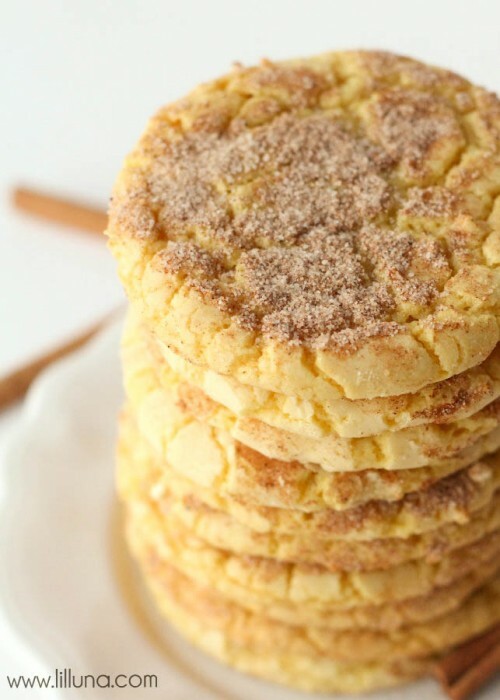 These Cake Batter Snickerdoodles from Lil Luna are some of the easiest cookies you will ever make. And I didn’t even know you could make fudge out of cake batter. 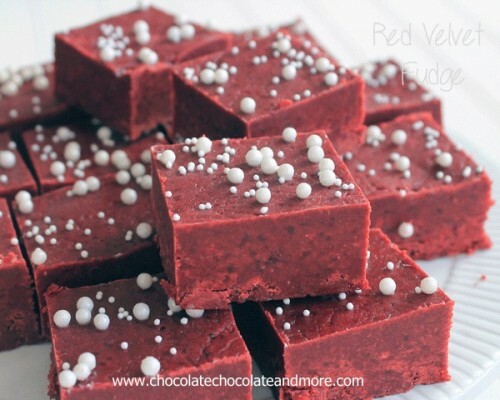 This Red Velvet Cake Batter Fudge from Chocolate Chocolate and More showed me anything is possible with a cake mix! 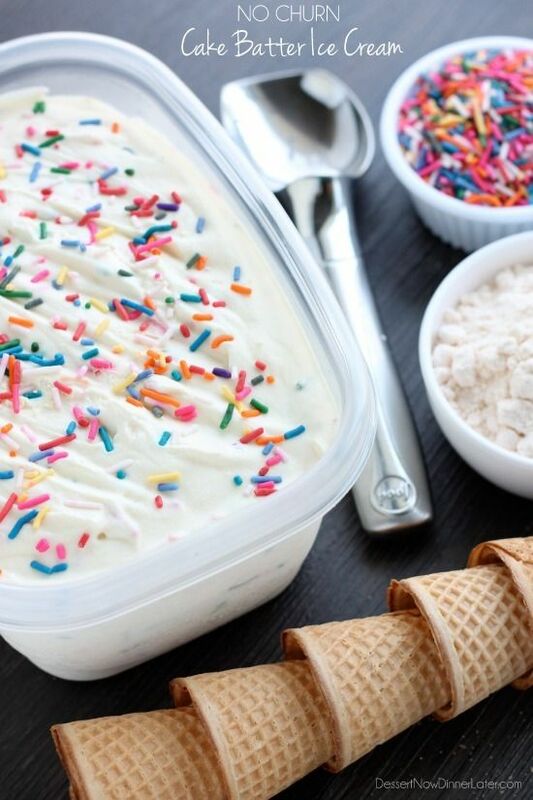 Cake Batter Ice Cream is one of my favorite flavors. Get the recipe to make your own at My Recipe Magic. 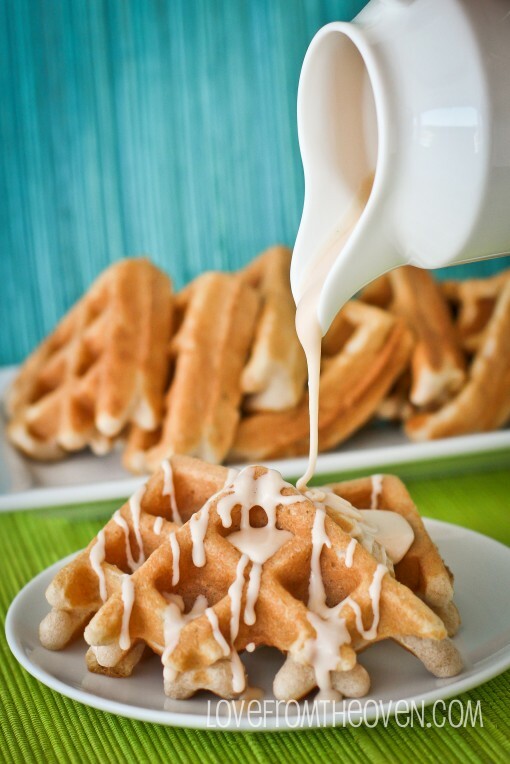 For breakfast, try these Cake Mix Cinnamon Waffles from Love From the Oven. 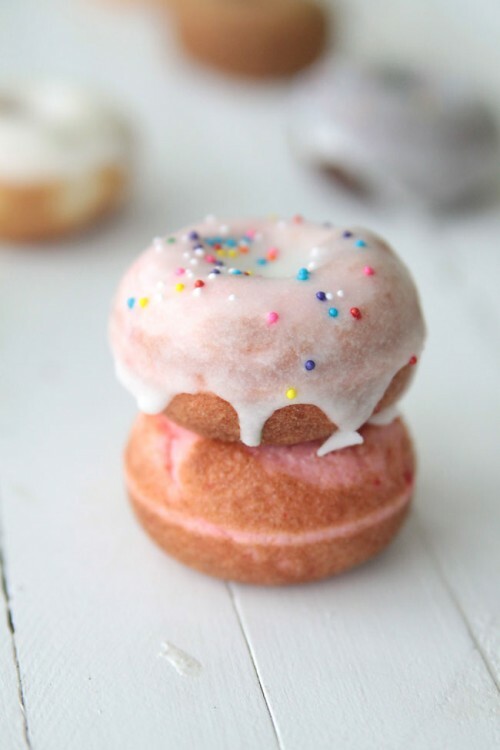 Or what about a Baked Doughnut from Its Always Autumn. Sometimes a cake mix should be used for cake. Like this Better Than Anything Cake from Chef in Training. 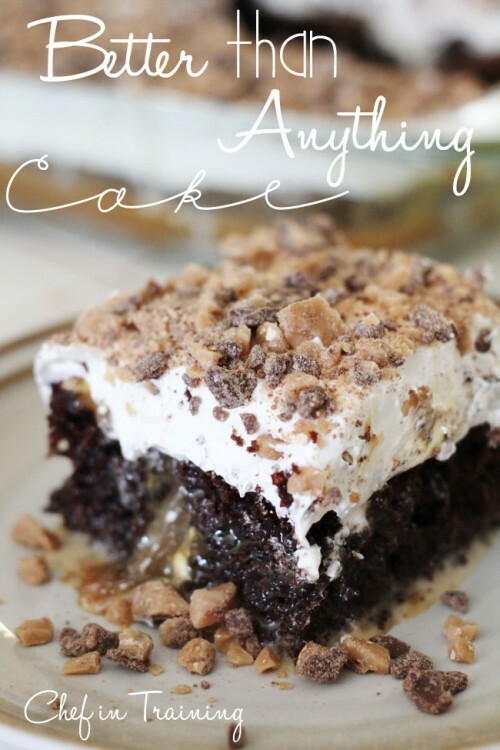 And more proof that Cake Mix Recipes are for breakfast too! 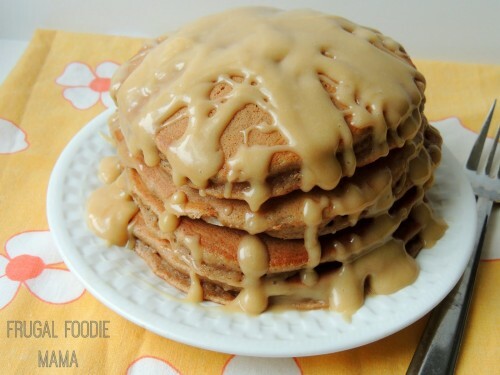 Check out these Carrot Cake Pancakes from The Frugal Foodie Mama. I love these Chess Squares made with cake mix from Kevin and Amanda. 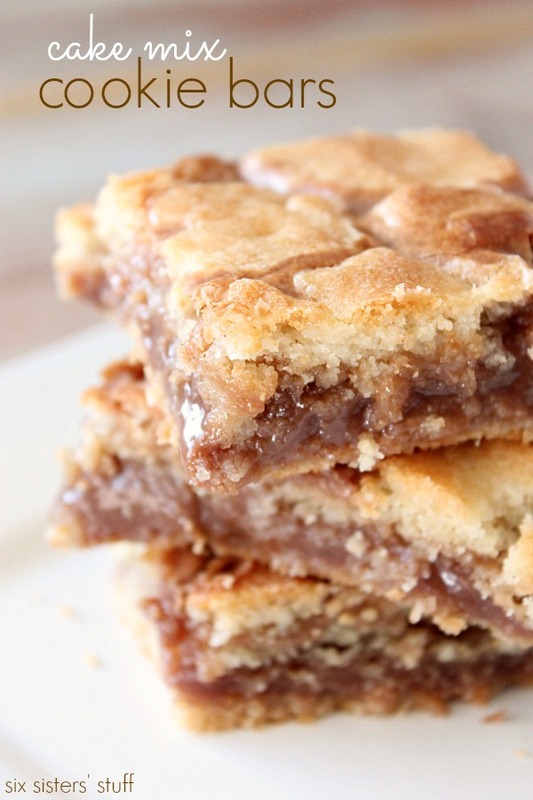 And these Ooey Gooey Dessert Bars from Chef-in-Training. 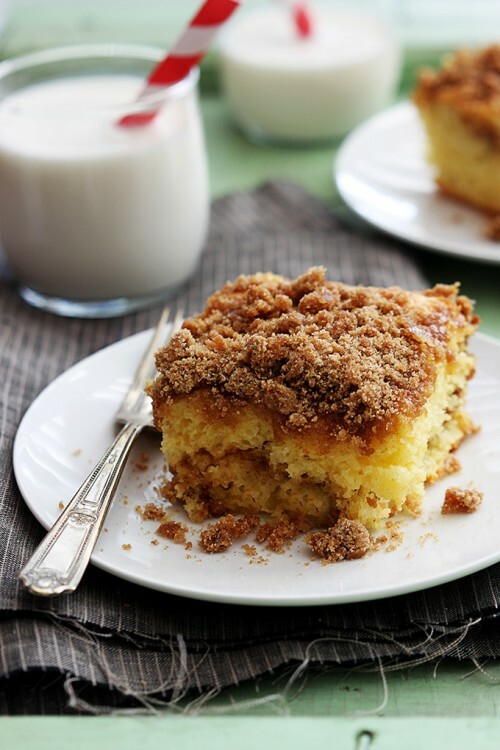 Sour Cream Coffee Cake from Le Creme de la Crumb is a must make cake mix recipe. 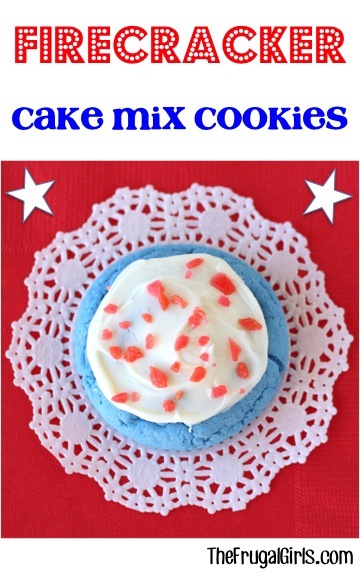 And these Firecracker Cookies from The Frugal Girls are too yummy to wait for the 4th of July to make. 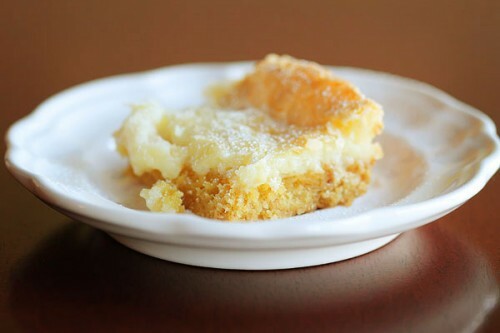 I hope you have found a dessert that looks irresistible! 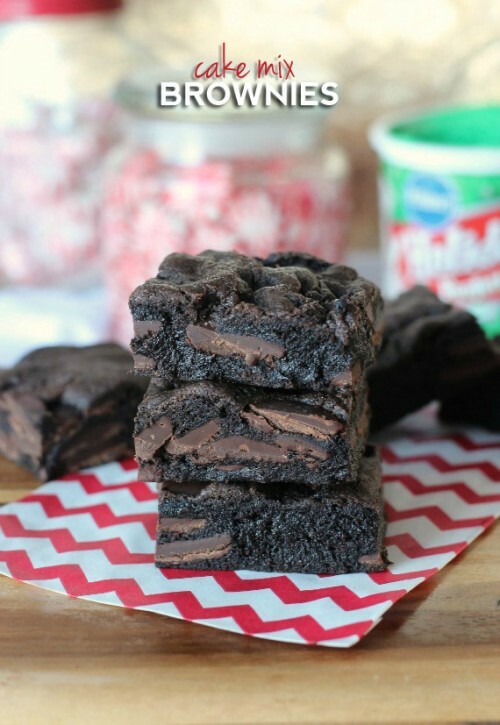 And I hope you enjoy the ease of making that yummy treat with a cake mix!